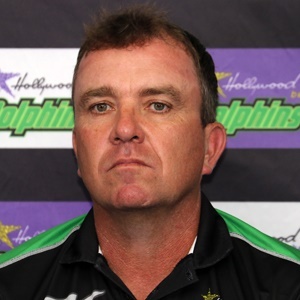 Sport 24 – Durban – Dolphins head coach Grant Morgan will take up the position of assistant coach to Russell Domingo for the upcoming SA ‘A’ tour of India which starts with a practice match on July 30. Durban – Dolphins head coach Grant Morgan will take up the position of assistant coach to Russell Domingo for the upcoming SA ‘A’ tour of India which starts with a practice match on July 30. The ‘A’ team tour will see the side take on their Indian counterparts in two four-day matches followed by a triangular 50 over series with India ‘A’ and Australia ‘A’ with the final taking place on August 29. Morgan’s career has followed a steady path upwards from his days in Gauteng to his role at KZN Inland to assistant coach at the Warriors and then to the Dolphins. Former Proteas coach Domingo will take the reins with Morgan assisting him, a position that the Dolphins mentor is familiar with. “Luckily I have also worked with about 80% of the squad at some stage during their careers so I know the majority of the guys,” Morgan added.